25% Off Heel Seats and Sock Night Splint! Helps improve morning pain–no more dreading those first steps! Save 25% when you buy these products together in this discounted treatment kit! Help speed up your healing time by using a robust, round-the-clock treatment approach. During the day, wear your Original Heel Seats to support, realign, and re-cushion the arch of your foot while you walk, jog, or stand. 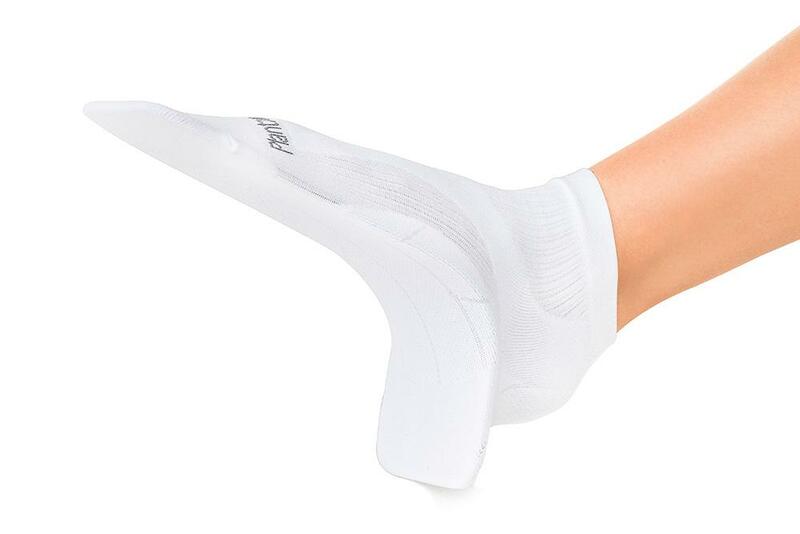 While you sleep or rest, keep your plantar fascia ligament limber and stretched with a comfortable Sock Night Splint. Our customers can’t say enough about how much it helps their morning pain! Save 25%, with FREE US Shipping— No Coupon Code Needed! No need to spend time scouring the web for discount codes. You’ll automatically save 25%, with FREE US shipping any you purchase one Sock Night Splint and one pair of Original Heel Seats. Combining two effective treatments for a day-and-night approach to plantar fasciitis can help you knock out heel pain quickly, efficiently, and inexpensively. In fact, 90% of plantar fasciitis sufferers find relief with conservative treatments like these — no heavy orthotic shoes, invasive medical procedures, or costly equipment needed! If you’re suffering from painful heels while you work or play each day, you need real relief. Fast. Not only are Original Heel Seats clinically proven twice as effective as Dr. Scholls orthotic inserts, but they’re 100% guaranteed. Curious why our customers call them “little blue miracles”? No need to throw out your favorite pair of shoes! Heel Seats are made to be worn with almost any pair of closed-heel shoes, for the support–and style–you need! Sock Night Splint: A Soothing Stretch While You Sleep! Fight plantar fasciitis and heel pain by night with a gentle stretch and just the right amount of compression. The breathable, lightweight plantar fasciitis splint is as comfortable as it is effective in knocking out your worst morning pain. No bulky, heavy, restrictive night splints here. Just a cozy sock splint that keeps your foot flexed in the perfect position, with just the right amount of pressure, all night long. Wear it while you sleep, rest, or watch TV, to improve blood flow and flexibility. If you’re dealing with heel pain, plantar fasciitis, or heel spurs, you might feel like the road to recovery is one step forward, two steps back. But by combining proven, effective treatments, you can take comfort knowing that you’re in good company with thousands of happy customers who can now stand, walk, and jog without heel pain. And if our products don’t work for your unique situation? Just send them back to us for a full refund, no questions asked!